The typical write-what-where kernel-mode exploit technique usually relies on either modifying some key kernel-mode data structure, which is easy to do locally on Windows thanks to poor Kernel Address Space Layout Randomization (KASLR), or on redirecting execution to a controlled user-mode address, which will now run with Ring 0 rights. Relying on a user-mode address is an easy way not to worry about the kernel address space, and to have full control of the code within a process. Editing the tagWND structure or the HAL Dispatch Table are two very common vectors, as are many others. However, with Supervisor Mode Execution Prevention (SMEP), also called Intel OS Guard, this technique is no longer reliable — a direct user-mode address cannot be used, and other techniques must be employed instead. One possibility is to disable SMEP Enforcement in the CR4 register through Return-Oriented Programming, or ROP, if stack control is possible. This has been covered in a few papers and presentations. Another related possibility is to disable SMEP Enforcement on a per-page basis — taking a user-mode page and marking it as a kernel page by making the required changes in the page level translation mapping entries. This has also been talked in at least one presentation, and, if accepted, a future SyScan 2015 talk from a friend of mine will also cover this technique. Additionally, if accepted, an alternate version of the technique will be presented at INFILTRATE 2015, by yours truly. Finally, a theoretical possibility is being able to transfer execution (through a pointer, callback table, etc) to an existing function that disables SMEP (and thus bypassing KASLR), but then somehow continues to give the attacker control without ROP — nobody has yet found such a function. This would be a type of Jump-Oriented Programming (JOP) attack. Nonetheless, all of these techniques continue to leverage a user-mode address as the main payload (nothing wrong with that). However, one must also consider the possibility to use a kernel-mode address for the attack, which means that no ROP and/or PTE hacking is needed to disable SMEP in the first place. Obviously, this means that the function to perform the malicious payload’s work already exists in the kernel, or we have a way of bringing it into the kernel. In the case of a stack/pool overflow, this payload probably already comes with the attack, and the usual tricks have been employed there in order to get code execution. Such attacks are particularly common in true ‘remote-remote’ attacks. The write-what-where may be unreliable, or corrupt adjacent data. This makes it hard to use it to ‘fill’ memory with code. It may not be obvious where to write the code — having to deal with KASLR as well as Kernel NX. On Windows, this is not terribly hard, but it should be recognized as a barrier nonetheless. This blog post introduces what I believe to be two new techniques, namely a generic kernel-mode heap spraying technique which results in executable memory, followed by a generic kernel-mode heap address discovery technique, bypassing KASLR. Experts of the Windows heap manager (called the pool) know that there are two different allocators (three, if you’re being pedantic): the regular pool allocator (which can use lookaside lists that work slightly differently than regular pool allocations), and the big/large page pool allocator. The regular pool is used for any allocations that fit within a page, so either 4080 bytes on x86 (8 bytes for the pool header, and 8 bytes used for the initial free block), or 4064 bytes on x64 (16 bytes for the pool header, 16 bytes used for the initial free block). The tracking, mapping, and accounting of such allocations is handled as part of the regular slush of kernel-mode memory that the pool manager owns, and the pool headers link everything together. Big pool allocations, on the other hand, take up one or more pages. They’re used for anything over the sizes above, as well as when the CacheAligned type of pool memory is used, regardless of the requested allocation size — there’s no way to easily guarantee cache alignment without dedicating a whole page to an allocation. Why are big pool allocations interesting? Unlike small pool allocations, which can share pages, and are hard to track for debugging purposes (without dumping the entire pool slush), big pool allocations are easy to enumerate. So easy, in fact, that the undocumented KASLR-be-damned API NtQuerySystemInformation has an information class specifically designed for dumping big pool allocations. Including not only their size, their tag, and their type (paged or nonpaged), but also their kernel virtual address! As previously presented, this API requires no privileges, and only in Windows 8.1 has it been locked down against low integrity callers (Metro/Sandboxed applications). // Note: This is poor programming (hardcoding 4MB). Obviously, it’s quite useful to have all these handy kernel-mode addresses. But what can we do to control their data, and not only be able to read their address? You may be aware of previous techniques where a user-mode attacker allocates a kernel-object (say, an APC Reserve Object), which has a few fields that are user-controlled, and which then has an API to get its kernel-mode address. We’re essentially going to do the same here, but rely on more than just a few fields. Our goal, therefore, is to find a user-mode API that can give us full control over the kernel-mode data of a kernel object, and additionally, to result in a big pool allocation. This isn’t as hard as it sounds: anytime a kernel-mode component allocates over the limits above, a big pool allocation is done instead. Therefore, the exercise reduces itself to finding a user-mode API that can result in a kernel allocation of over 4KB, whose data is controlled. And since Windows XP SP2 and later enforce kernel-mode non-executable memory, the allocation should be executable as well. Creating a local socket, listening to it, connecting from another thread, accepting the connection, and then issuing a write of > 4KB of socket data, but not reading it. This will result in the Ancillary Function Driver for WinSock (AFD.SYS), also affectionally known as “Another F*cking Driver”, allocating the socket data in kernel-mode memory. Because the Windows network stack functions at DISPATCH_LEVEL (IRQL 2), and paging is not available, AFD will use a nonpaged pool buffer for the allocation. This is great, because until Windows 8, nonpaged pool is executable! Creating a named pipe, and issuing a write of > 4KB of data, but not reading it. This will result in the Named Pipe File System (NPFS.SYS) allocating the pipe data in a nonpaged pool buffer as well (because NPFS performs buffer management at DISPATCH_LEVEL as well). Ultimately, #2 is a lot easier, requiring only a few lines of code, and being much less inconspicuous than using sockets. The important thing you have to know is that NPFS will prefix our buffer with its own internal header, which is called a DATA_ENTRY. Each version of NPFS has a slightly different size (XP- vs 2003+ vs Windows 8+). I’ve found that the cleanest way to handle this, and not to worry about offsets in the final kernel payload, is to internally handle this in the user-mode buffer with the right offsets. And finally, remember that the key here is to have a buffer that’s at least the size of a page, so we can force the big pool allocator. // the size of a DATA_ENTRY is 28 bytes (0x1C). Now all we need to know is that NPFS uses the pool tag ‘NpFr’ for the read data buffers (you can find this out by using the !pool and !poolfind commands in WinDBG). We can then change the earlier KASLR-defeating snippet to hard-code the pool tag and expected allocation size, and we can instantly find the kernel-mode address of our buffer, which will fully match our user-mode buffer. Voila! Package this into a simple “kmalloc” helper function, and now you too, can allocate executable, kernel-mode memory, at a known address! How big can these allocations get? I’ve gone up to 128MB without a problem, but this being non-paged pool, make sure you have the RAM to handle it. Here’s a link to some sample code which implements exactly this functionality. An additional benefit of this technique is that not only can you get the virtual address of your allocation, you can even get the physical address! Indeed, as part of the undocumented Superfetch API that I first discovered and implemented in my meminfo tool, which has now been supplanted by the RAMMap utility from SysInternals, the memory manager will happily return the pool tag, virtual address, and physical address of our allocation. Here’s a screenshot of RAMMap showing another payload allocation and its corresponding physical address (note that the 0x1000 difference is since the command-line PoC biases the pointer, as you saw in the code). 1) Starting with Windows 8, nonpaged pool allocations are now non-executable. This means that while this trick still lets you spray the pool, your code will require some sort of NX bypass first. So you’ve gone from bypassing SMEP to bypassing kernel-mode NX. 2) In Windows 8.1, the API to get the big pool entries and their addresses is no longer usable by low-integrity callers. This significantly reduces the usefulness in local-remote attacks, since those are usually launched through sandboxed applications (Flash, IE, Chrome, etc) and/or Metro containers. Of course, there are some ways around this — a sandbox escape is often used in local-remote attacks anyway, so #2 can become moot. As for #1, some astute researchers have already figured out that NX was not fully deployed — for example, Session Pool allocations, are STILL executable on newer versions of Windows, but only on x86 (32-bit). I leave it as an exercise to readers to figure out how this technique can be extended to leverage that (hint: there’s a ‘Big Session Pool’). But what about a modern, 64-bit version of Windows, say even Windows 10? Well, this technique appears to be mostly dead on such systems — or does it? Is everything truly NX in the kernel, or are there still some sneaky ways to get some executable memory, and to get its address? I’ll be sure to blog about it once Windows 14 is out the door in 2022. One of the annoying things of my Windows Internals/Security research is when every single component and mechanism I’ve looked at in the last six months has ultimately resulted in me finding very interesting design bugs, which I must now wait on Microsoft to fix before being able to talk further about them. As such, I have to take a smaller break from kernel-specific research (although I hope to lift the veil over at least one issue at the No Such Conference in Paris this year). And so, in the next following few blog posts, probably inspired by having spent too much time talking with my friend Ange Albertini, I’ll be going over some neat PE tricks. Crash or make any sort of interactive/visible notice to the user, event log entry, or other error condition. Interesting, this was actually a real-world situation that I was asked to provide a solution for — not a mere mental exercise. The idea was being able to prove, in the court of law, that no “foreign” machine code had executed as a result of this executable file having been launched (i.e. : obviously the kernel ran some code, and the loader ran too, but all this is pre-existing Microsoft OS code). Yet, the PE file had to not only be valid, but to also return a valid process handle to the caller. As per Corkami, in Windows 7 and higher, you’ll want to make sure that the PE is at least 252 bytes on x86, or 268 bytes on x64. There is one non-standard machine configuration in which this code will actually still crash (but still return STATUS_SUCCESS in CreateProcess, however). This is left as an exercise to the reader. The application executes and exits successfully. But as you can see, no code is present in the binary. How does it work? Do you have any other solutions which satisfy the challenge? As part of my daily reverse engineering and peering into Windows Internals, I started noticing a strange effect in Windows 8.1 whenever looking at the reference counts of various objects with tools such as WinDBG, Process Explorer, and Process Hacker: seemingly gigantic values on x64 Windows, and smaller, yet still incredibly large values on x86. For the uninitiated, reference counts (internally called pointer counts), and their cousin handle counts, are the Windows kernel’s way of keeping track of open instances to a certain object (such as a file, registry key, or mutex) in order to implement automatic cleanup and garbage collection. 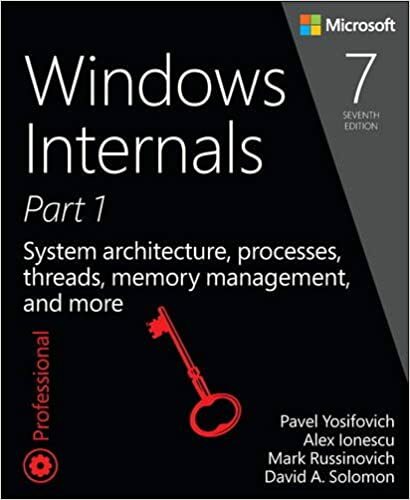 Windows system tools such as Process Explorer or Process Hacker often have handy interfaces for looking at the objects to which a process currently has references to, by analyzing the process handle table. In the screenshot below, you can see me looking at the first few handles of the Windows shell, Explorer.exe. Particularly, I am interested in the “DBWinMutex” mutex, at handle 0x44. What this mutex does is gate access to Windows’ debug buffer, used by the OutputDebugString API, so it’s likely that you’ll see it used in many other processes as well. Since Explorer has at least one component using that API, it has a handle opened to it. Let’s go find out how many other components have a handle to it, by double-clicking and looking at its properties. Pretty striking, isn’t it? While the handle count, which keeps track of actual handles to the object (implying that (Zw)OpenEvent was used to obtain the reference) is 14 and makes sense given the large number of processes that use the debug buffer to print various trace messages, the reference count, which is meant to include those handles plus any other additional internal kernel component references (which can bypass handles altogether and use the ObReferenceObject family of APIs to safely reference an object), is actually 491351! While it’s technically possible for such a large number of kernel references to exist to the object, it’s highly unlikely, and if one checks the reference counts on other objects, similarly large numbers appear. What’s going on? First, let’s make sure this isn’t a bug in Process Explorer. Such tools that peer into undocumented structures are often risk prone to subtle changes in the kernel, so I like to use the Windows Kernel Debugger (WinDBG) to validate what user-mode tools are showing. After all, the debugger dumps the raw memory of the object, which is the ground truth. As you can see below, we can use the handy !object extension to go find the object. This can’t be a coincidence, can it? In fact, looking at other objects in Process Explorer, and comparing the reference count with WinDBG shows a similar pattern – not only are the numbers huge, but Process Explorer is always off by 0x7FFF. I also noticed a second pattern – the more handles that the object had, the bigger the reference count was, and always by a factor of around, or almost, 32767. In this case, dividing 458584 references by 14 handle counts gives us 32756 references-per-handle – close enough. Doing the opposite math on 491351 references gives us 14.995 handles. Having worked on Process Explorer previously, I knew that as part of the code which handles the properties dialog and queries information on the object, the tool open its own handle to the object, temporarily creating 15 handles. Something became clear: there is now a bias in the reference count of objects, based on the number of handles. However, this bias is not exactly 32767, so something else must be going on. The reference count went down to 491337. Which happens to be – wait for it – exactly 14 references less than what we had before. Repeating the exercise a few more times perfectly reproduces this behavior. Each time a new search is done, 14 processes are found (with 1 handle each), and the reference count goes down by 14 again. Each time a new handle is opened to an object, the reference count goes up by 0x7FFF, or 32767, on x64 Windows. On x86 Windows, the same behavior is seen by the way, but with 0x1F instead. Each time an existing handle to an object is used, the reference count goes down by 1. The last part in this exercise was trying to understand where this data is coming from. The last bullet point above suggests that there is some sort of per-handle reference count, so I used the !handle extension in WinDBG to locate the handle entry for Explorer’s (PID 4440 as seen earlier) handle to DBWinMutex (handle 44 as seen earlier). I used flag 2 to request the object information as well. As you’ll see below, this gave me the pointer to the handle table entry, which I’ve highlighted in green. We can then use WinDBG’s symbol information to dump the entry using the dt command the _HANDLE_TABLE_ENTRY type inside the nt module. As someone who has often dumped handle table entries in the debugger, the structure was striking to me, as it was very different from anything I had seen before. In fact, handle table entries only really stored two things before – the pointer to the object, and the granted access mask to the object. Yes, a few flags were used, but definitely nothing like we see above in Windows 8.1. Instead of storing the full 64-bit pointer to the object header, Windows now only stores a 44 bit pointer. The bottom four bits are inferred to be all zeroes as all 64-bit allocations, code, and stack locations are 16-byte aligned, while the top sixteen bits are inferred to be all ones, as architecturally defined by the amd64 achitecture per the rules of canonical addresses (there must now be a dozen algorithms in Windows which rely on these bits having pre-defined, unchanging values!). Three of the assumed bits are re-used to store the three handle attributes (inherited, audited, protected), while a fourth is used to store the lock bit for the handle entry. Finally, the remaining 16-bits are now used to store an inverted reference count which keeps track of the amount of times that a handle has been used by a process. This reference count begins at 0x7FFF and counts down to zero for each additional reference made on the handle. The reference count (i.e. : the pointer count field in the object header) is biased by the number of inverted reference counts in each handle to the process. Because the access mask is only 25 bits if you ignore the generic access rights (which are always translated into specific rights), additional bits can be used for flags. One such bit is used, the others are spare. This leaves an unused 32-bit value that was wasted for alignment purposes on earlier versions of Windows. In Windows 8.1, this is now used to store the TypeInfo field, which is the Object Type Index in the Object Type Index Table (nt!ObTypeIndexTable). Dereferencing this index quickly reveals the object type for this handle, without having to even look at the object header. No assumptions can be made on the top bits, so the entry continues to store a pointer to the object header, in which the bottom 3 bits are re-used to store the lock bit and 2 of the handle attributes (inherited, audited) as all x86 allocations are 8 byte aligned. Because the granted access mask is only 25 bits, the remaining 7 bits can now be used to store the missing attribute flag (protected), leaving 6 bits to store the reference count. As such, the reference count starts at 0x1F instead, on x86 systems. There is no additional space lost due to alignment, so there is no space to store the TypeInfo field. As you can see, Windows 8.1 not only introduces a major rewrite to the handle table entry format but also makes these seemingly internal data structure changes to have a visible side effect when using the Windows Debugger or other tools to analyze reference counts on objects, something which driver developers often have to do (and even support professionals when troubleshooting leaks). Additionally, for forensic analysts, the fact that there is now a per-handle “reference count”, which Microsoft should’ve really called an inverted access count, allows one to get a very detailed understanding of the number of times a handle has been used (and thus perhaps glean insight into unusual uses of the handle). On a final note, this is a really good example of the type of Windows Internals analysis that one can do without doing any actual “black room” reverse engineering – I didn’t have to open IDA a single time or look at a single line of assembly code to discover and understand this functionality. By merely interacting with the system, deducing logic, and looking at state changes, the behavior became clear. If you ever note any other interesting Windows functionality or behavior that you’ve never been able to explain, feel free to leave a comment!